Empty storefronts in Downtown Yakima will come alive again on Friday, April 5th when the talents of local artists are put on public display for the latest “Windows Alive!” installment. Six years ago, the Yakima Arts Commission, an advisory group appointed by the Yakima City Council, developed the idea to harness the creativity of Central Washington artists. Following a submission and evaluation process, outstanding artists from the region were chosen to be part of the latest “Windows Alive!” exhibition, which will run from April 5th through this September. The kickoff for the latest Windows Alive! exhibit will take place at 5:30 pm on April 5th. Art will be displayed in storefront windows located along the north side of Yakima Avenue between 3rd Street and 4th Street. Artists chosen to display their work will be available to talk about their pieces. The event will be held in conjunction with “First Friday” activities in Downtown Yakima, which showcases local wineries, restaurants and shops with specials and entertainment. Sharon Azhderian Cox, of Selah, who enjoys experimenting with several different mediums. The subject matter of her art includes abstracts, landscapes, animals, trees and people. Brad Phillips of Yakima works in oils. He uses pictures and still life as the basis for most of his artwork. Stounson (Steven Mollett) of Yakima takes inspiration from Keith Haring and Jean-Michel Basquiat for his paintings. Don Wolterstorff of Yakima is a landscape and wildlife photographer specializing in images from around the Yakima Valley. Francisco Noe Maltos of Yakima creates black and white as well as color drawings. The inspiration for his artwork includes watching his father draw, books he has read and his connection with nature. 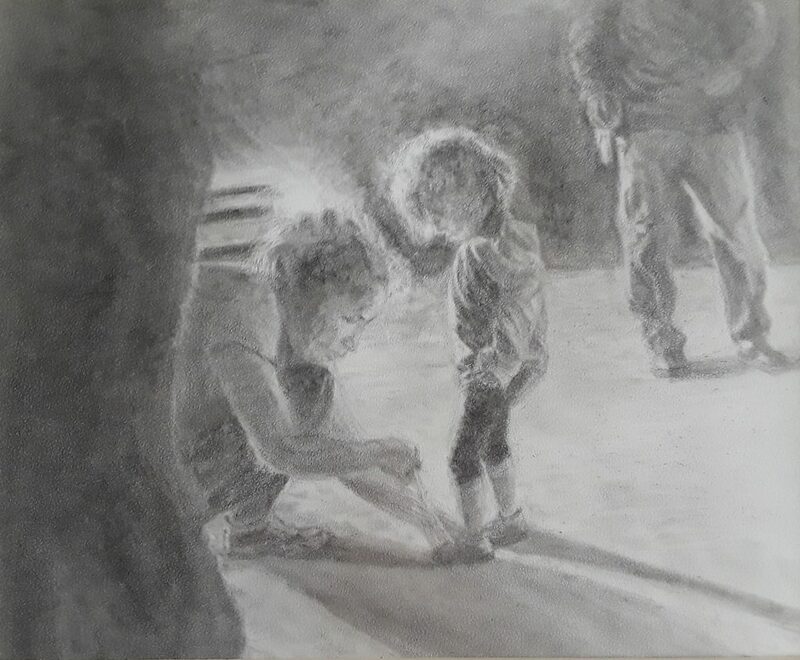 Dorothy Groszhans of Yakima creates graphite and charcoal drawings, inspired by actual news reports covering worldwide refugees and immigrants. Each received a $250 stipend. “I’ve really enjoyed working with this new group of artists as their art is so varied,” said Windows Alive! Coordinator Jane Milford Cooper.